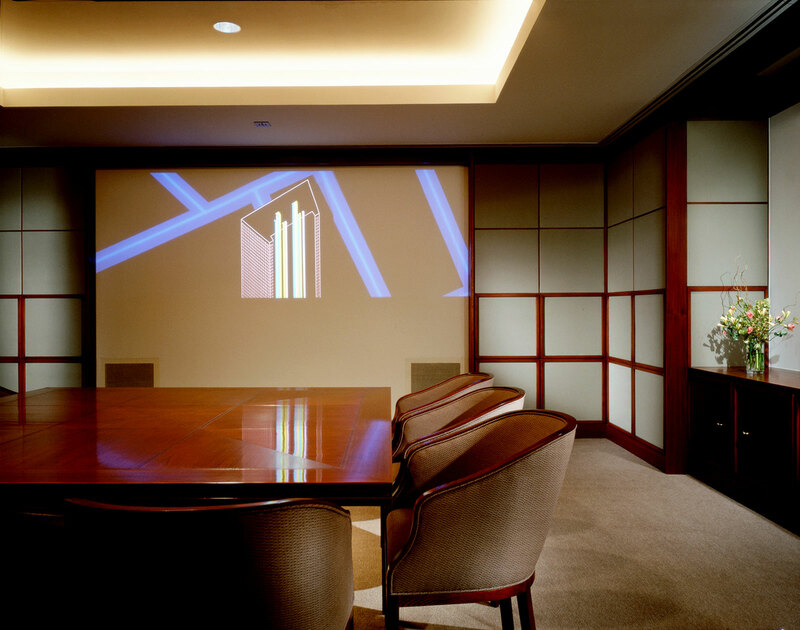 Located on the 5th floor of the 7 World Trade Center construction site, the marketing center was designed to promote the new office building with architectural models and an audio-visual presentation. Potential tenants were ushered from the chaos of the tower’s construction into a pristine space of stone floors and fabric-paneled walls. 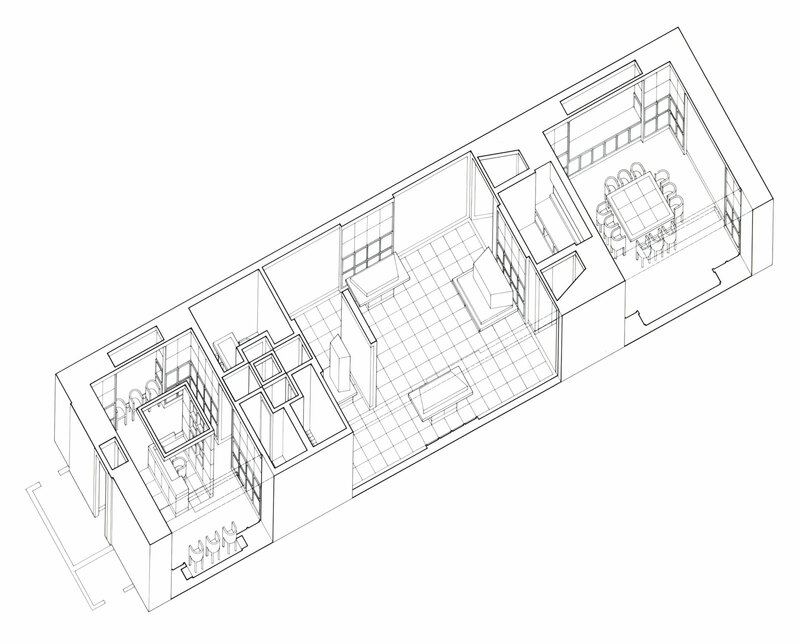 The three primary functions, reception, model display and audio-visual presentation, are arranged along the center’s entry axis. 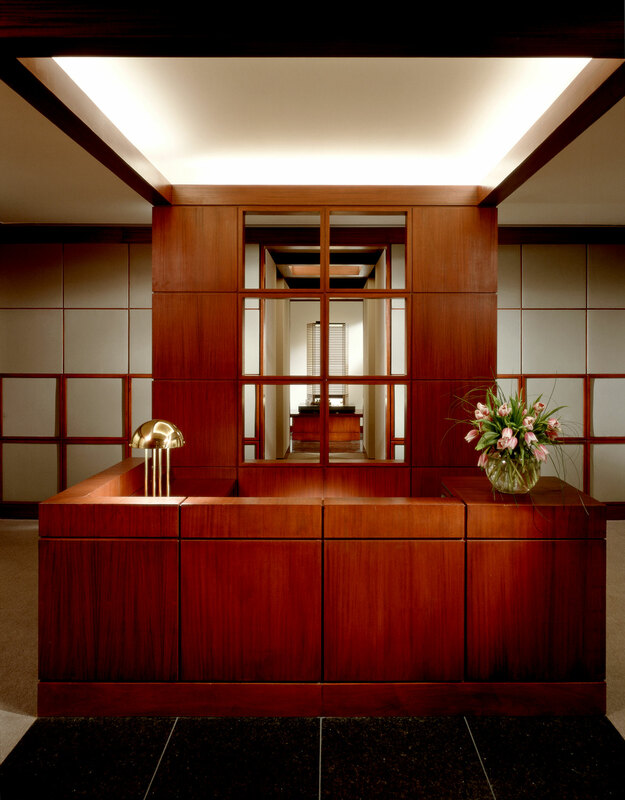 Mahogany framed fabric panels wrap the walls of the reception and audio-visual rooms and create niches for seating and built-in cabinetry. 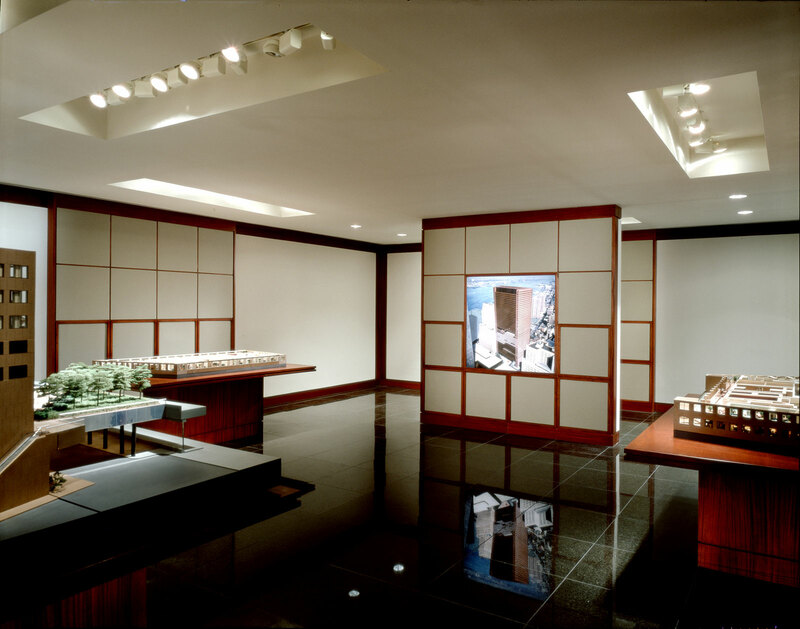 In the model room, the panels are used as backdrops to the custom built model displays.